From genuine, tufted, distressed and faux leather, you cannot go wrong furnishing your home with leather furniture. 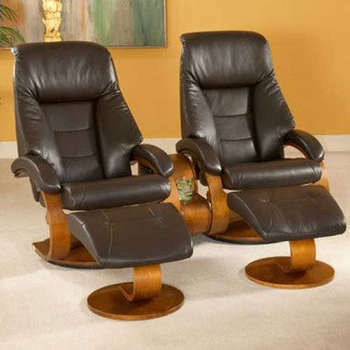 In particular, leather recliners, which mix design and quality, giving you the best combination. 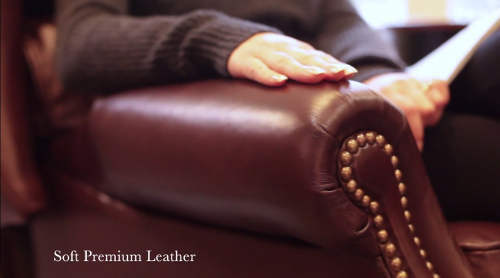 If you have looked for a leather recliner, you already know that there are way too many out there. 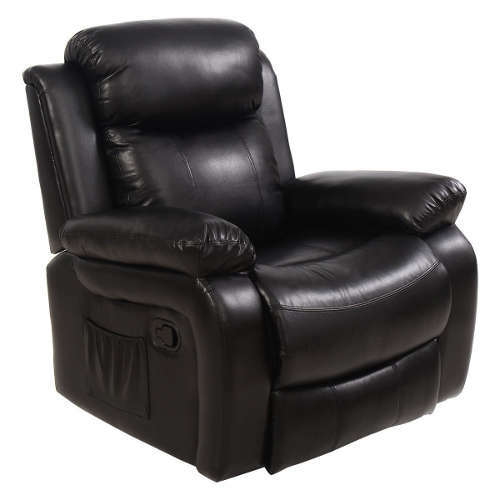 For your conveience, we have gathered the 10 best leather recliners and reviewed each one! Leather varies in regards to type and quality. Are you dealing with high-quality leather? Is it faux leather? Is this unfinished or finished leather? Regardless of what type of leather you are dealing with it needs to be cleaned regularly. This is because of the body oils and perspiration make their way into the absorptive surface. Unfinished Leather: You should be dusting unfinished leather on a weekly basis. Finished Leather: For finished leather you can use a warm-water damp cloth and lightly clean it. When dealing with spills or spots, you must blot the liquid as immediately as possible. For unfinished leather, it is best to call cleaners that remove any damage that has been done. When cleaning finished leather you can use water and soap. Tip: Do not under any circumstance use nail polish, furniture polish or household cleaners as they can damage leather. The pinnacle of luxury, the “Perfect Chair” is exactly that. With premium features and breathtaking craftsmanship, we examine of the best chairs on the entire market. The Perfect Chair presents so many benefits that it was difficult to choose our favorite. However, the main ones focused on physical benefits. It proved to be a great recliner for recovery, decompression of the spine, relieving soreness, and helping with fatigue and muscle aches. Furthermore, the PC-420 moves your legs to be above your heart, thus improving overall blood circulation. The feature that we are most excited about is the “Zero-Gravity Immersion”. 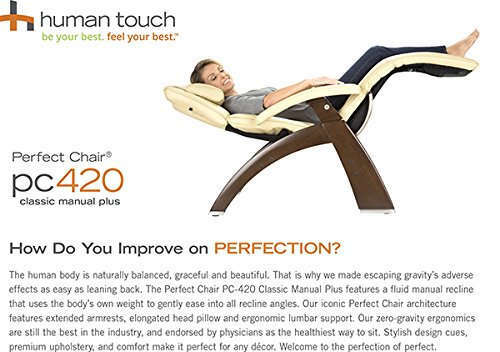 This feature uses the fluid recline to utilize your own body weight to slowly ease into a neutral position. Aside from the health benefits, the craftsmanship is the best on the market. The steel frame and hand carved solid wood base are beautiful and are paired with top grain leather. We found no faults in the PC-420! From the beautiful craftsmanship to the premium comfort, all the features expressed luxury. As previously mentioned this recliner is a luxury product and will not be a smart purchase for all readers. The Serta Perfect Recliner uses excellent range of motion and advanced gel-infused foam to separate itself from the pack. Our favorite feature of the Serta recliner is the gel infused foam that conforms to all body shapes. This ergonomic foam helps reduce pressure points in the back and supports your wrists, arms, calves, and ankles. You will begin to feel immediate comfort as you as you sit down. This can be attributed to the 1.8+ foam density of the recliner and the extremely soft faux leather. 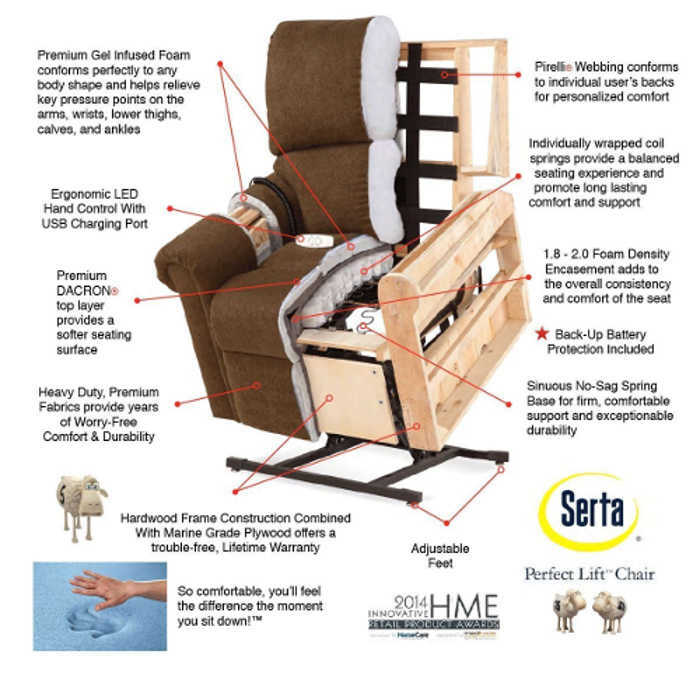 Another bonus is that the Serta recliner is a lift chair that allows you to get in and out easily. This is great for older users that have trouble lifting themselves up, as it reduces pressure on their legs. Finally, the smooth motion adjusts to your particular needs. Combined with firm arms, gel-infused foam and premium upholstery, the Serta recliner is easily one of the most supportive. There is a slight tilt as the chair lifts, although this is not a key factor, it is worth noting. Premium construction, excellent design and top quality presentation accurately describe the Mac Motion recliner. The best thing about this chair is the combination of durability and comfort. You can use it for 10+ hours each day and it will be just as comfortable the next day. It is the perfect lounging chair and does wonders for your lower back. 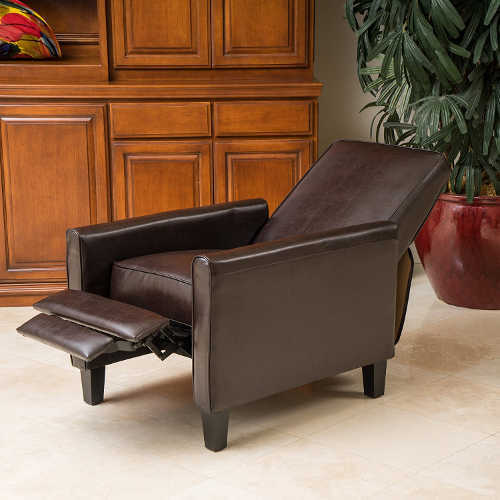 We like to categorize this recliner as “affordable luxury”. Although the Oslo Collection recliners are more expensive than traditional recliners, they do not take your wallet for a run. We also found that the MX-2 foam adds to the overall support of the recliner and provides therapeutic comfort over time. Definitely a bargain! The only fault in this recliner is that the upright full position is still slightly reclined. This may be an issue for those looking to get full lumbar support in an upright position. From the trusted Barcalounger brand, the Charleston upholstery is composed of elegant premium leather. The best quality of the Charleston is its sturdiness. It can hold people of all different heights and sizes. We had individuals tall as 6’6 and 300+ pounds who were able to use the chair without any discomfort. The support can actually be accredited to the top grain leather and soft padding. With dynamic seating and design, it is easy to see why the Charleston continues to grow in popularity. One downside is that it does not extend to a full reclining position. However, the vintage design of the Charleston indicates it isn't created to do so. 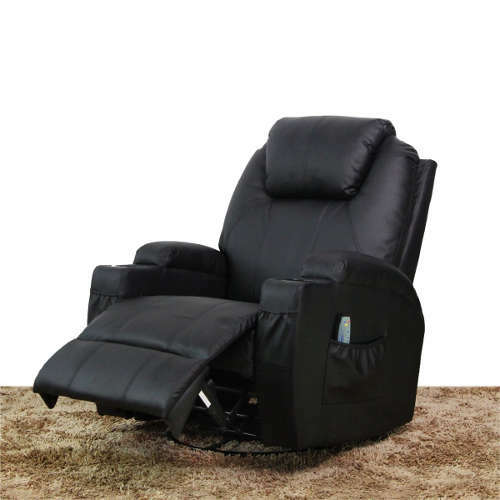 If you are looking for multiple features that make your reclining experience easier and more enjoyable then the Pulaski recliner is what you are looking for. 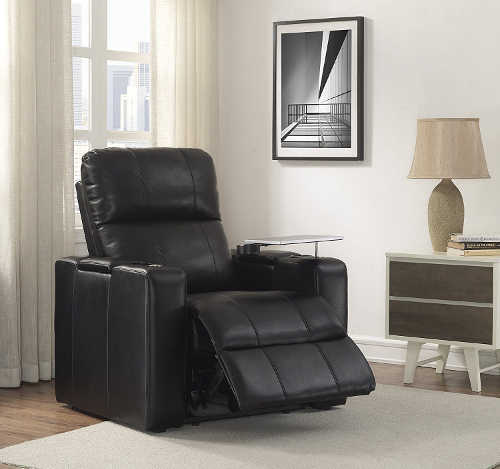 We absolutely love the features that the Pulaski Home Theatre recliner provides. 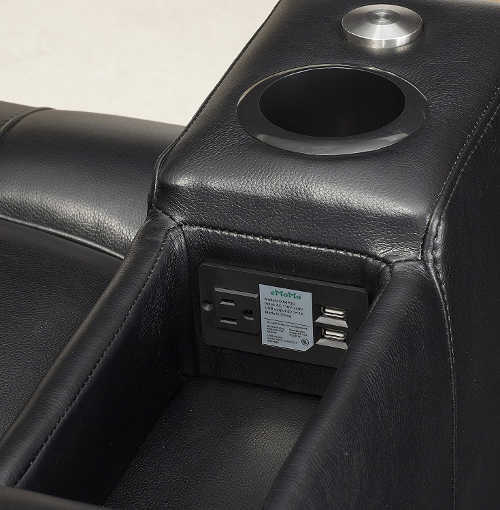 From the pull out tray, USB port for convenient charging and dual cup holders, Pulaski have out done themselves. In this particular chair, Pulaski has focused on features that make reclining convenient. 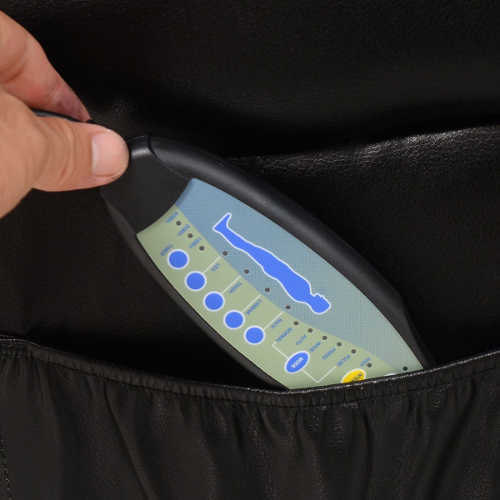 This is shown by the power recline feature that allows users to recline to any position with easy touch. The button system combined with USB charging demonstrates the “convenience” mentality that Pulaski has. The sleek and sophisticated faux leather is easy to clean, soft and durable. 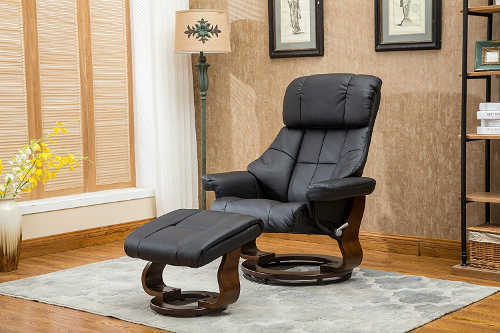 In the end, Pulaski has managed to make a recliner that has several unique features and still performs the basics well. It is worth mentioning that the chair comes with zip tied cords, but you can turn the recliner over to remove them. Once this is done the USB port and power plug will begin to work. Note: The chair isn't very big either, as you can see from the back, the length is quite small. Dependability in a recliner is the determining factor before you stop to shop. If your recliner chair lasts for 2 months and breaks, it does not serve its purpose. 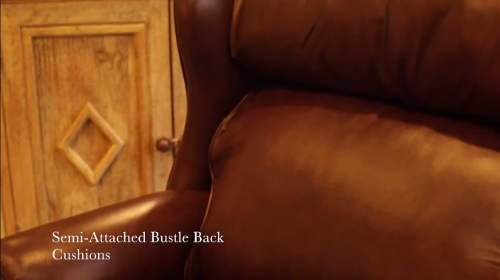 Luckily, the Morgan Stucco recliner is the definition of durability. We are raving about this recliners solid wood finish and beautiful base. We also couldn't forget the high quality of materials and wood used to complete the chair. Our favorite feature is the storage based ottoman which allows for multiple items to be stored at once. Further, the swivel mechanism is easy to operate and we haven't experienced any problems using it. The width of the seat is wider than most recliners. This becomes a nice bonus if you choose to sleep in the chair. Overall, simplicity and quality of production is what makes the Morgan Stucco stand out. There seems to be a mixed response in regards to assembly. Some customers report easy assembly and others report difficulty with instructions. 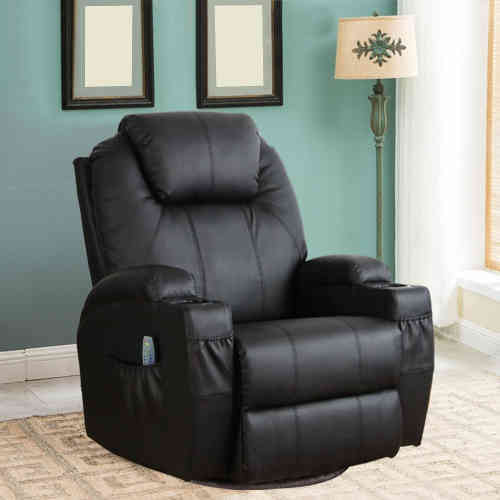 This affordable recliner is packed with multiple features that are missing in some of the most expensive chairs. 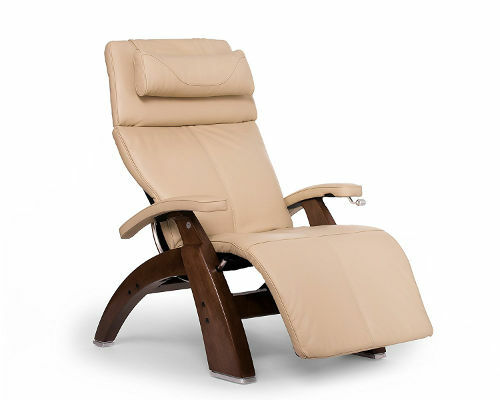 The Esright Massage recliner has many versatile features that make it great. However, our favorite features are the 2 intensity levels and the 5 adjustable control modes. These features allow customers to have full control of their reclining experience. Furthermore, the leather is soft, but sturdy PU leather, which is designed to handle intensive usage. 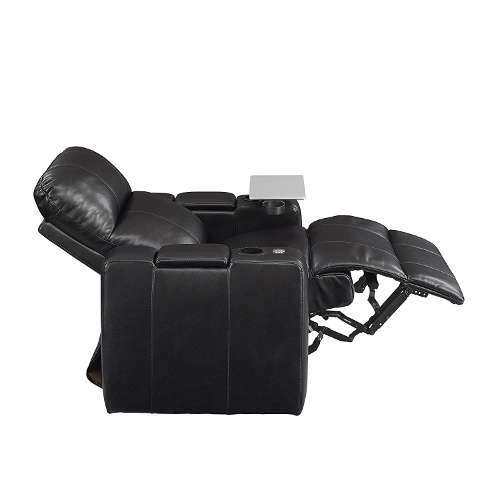 Combined with 150 degree reclining features and 360 degree swivel, the remote controlled Esright is one-of-a-kind. Read our dedicated review! This chair is suitable for most individuals, but large users have reported some size issues. Tangkula recliner chairs have continuously been products that consumers are excited about. Let’s look at the features below to see why! The versatile 8 vibrating massage nodes allow you to experience comfort at various degrees. You can adjust your recliners settings to shape your bodies every need. This will help you get rid of any nags in your back and legs. Along with the adjustable massage nodes, you are provided with extra comfort in your head cushion, which bodes great for full reclining modes. Finished with re-generated bark and gorgeous PU leather, the Tangkula recliner chair is aesthetically appealing for modern living rooms and homes. The only issue is regarding the sound of the massage modes, they could definitely be quieter. Not a major issue, but still something that could be improved. 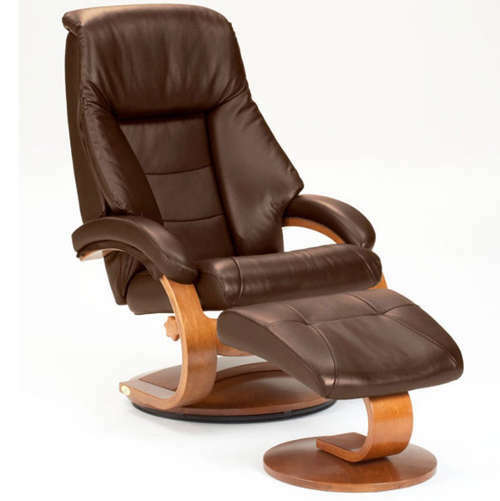 The Mid Century recliner represents the simple, but elegant version of the complicated design in modern recliners. Let’s take a look at the features below. 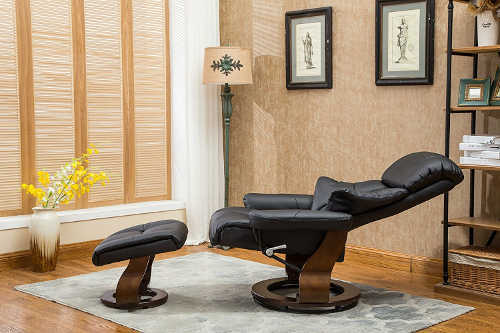 The best feature of the Mid Century Recliner is the body and cushion support that accompanies this chair. This is due to the soft leather and the easy recline feature that allows for holding in many different positions. It works great for lounging, gaming or watching television because of the “ease-in” comfortability. More so, the design allows it to fit into open floor plans or closed living rooms. Overall, the padding on the arms and wings of the chair is what make it super comfortable and an easy fit for any body shape. The lock-in mechanism gets a bit difficult to manage at times, over time it becomes easier to lock in. Fashioning a clean leather appeal, the Lucas is elegant and simple. Without a doubt, the most appealing feature of the Lucas is the modern design. The contemporary appearance allows it to suit a variety of rooms. It can also adjust to any décor around it. The 3-position reclining allows customers to have a partial recline and a full recline if they wish to. 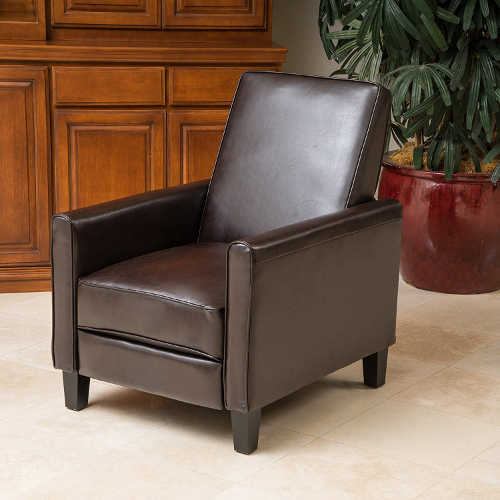 The upholstery is bonded leather which is where the clean aesthetic of the chair comes from. 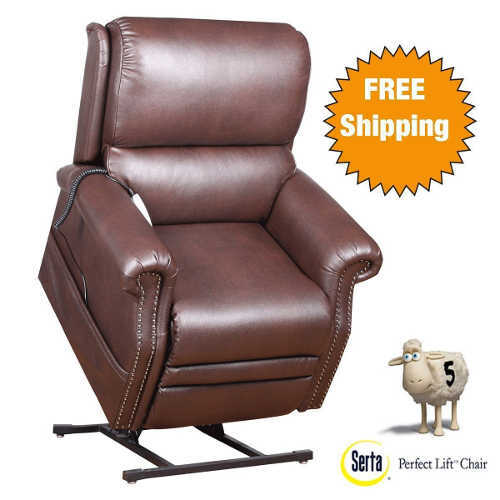 Overall, this recliner is excellent for its price and the best part is that you will be getting more than what you paid for in terms of quality and appearance. Although the Lucas is affordable and aesthetically appealing, it does not bode well for long periods of sitting. If you are looking for something to help ease your back or sit and watch TV for hours, then you are going to want to look at other chairs. Quality leather remains comfortable if it is taken care of. Below you will find the appropriate techniques for cleaning your leather chair. Regular leather cleaner is typically too strong. Although there is a wide selection, they tend to effect seating and quality of leather intensely. To relax the leather, dilute the cleaner in lukewarm water. Before you start cleaning your leather recliner, you want to dust it. This can be done with a rag or duster. Some recommend a vacuum on leather chairs, but vacuums sometimes scratch the leather. Take a rag and soak it in the solution, squeeze the rag to get rid of extra water and then gently go over your recliner. Make sure to get the seating and any small spots that you may miss. However, do not soak your recliner with the solution. After the entire recliner has been covered with the cleaner, wait approximately 5-10 minutes. After that take a warm-water rag and wipe down the cleaner solution from your leather recliner. Take caution to not get too much water onto the chair as this can damage most leather recliners. Once you have wiped down your recliner with the water rag, then you must dry it completely. This is important because if you do not then it will be susceptible to discoloration and damage. 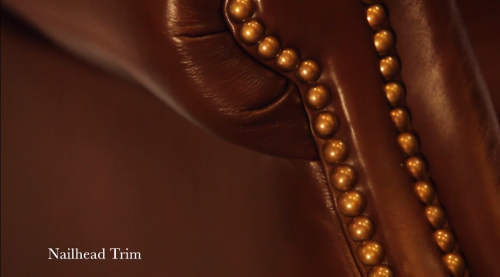 Applying oil to your leather chairs can be beneficial as it prevents cracking. 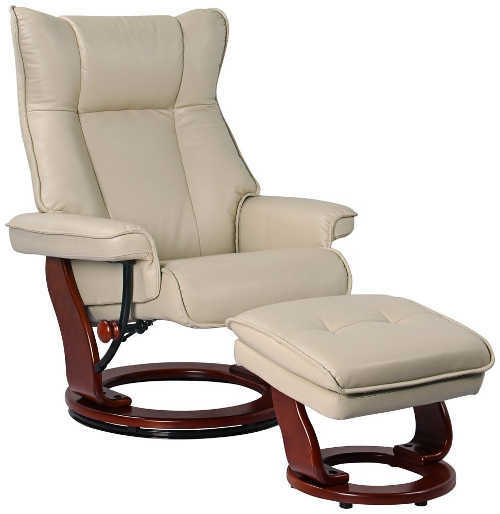 Read the manual your recliner chair came with and determine if applying oil to your recliner would be beneficial. The following tips have become some of our favorite and we hope they can help you out as well. Many people assume that leather furniture is not good because it does not last. This is not true. 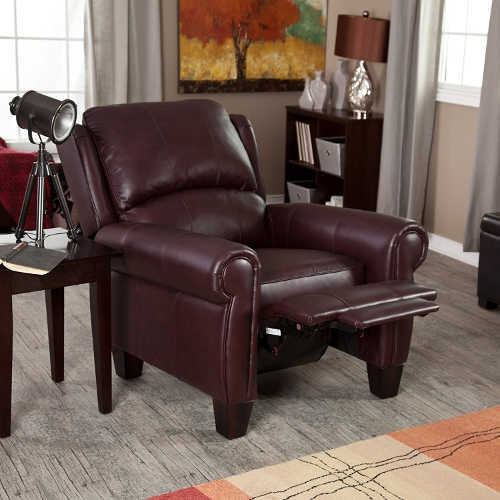 Leather recliners are durable and adjust to any living room or family room. They are timeless pieces of furniture that help with furnishing for years to come and can last longer than fabric! Next, people also assume that leather furniture gets too cold or hot. This may be true for your car, but not for your indoor chairs, recliners and sofas. Furthermore, you can choose to get protected leather that will keep it safe. Tip: Protect your leather recliners and chairs from sun light. Direct sun light can fade some pieces of leather. Tip: For minor scratches on leather product you can simply buff with your fingers. 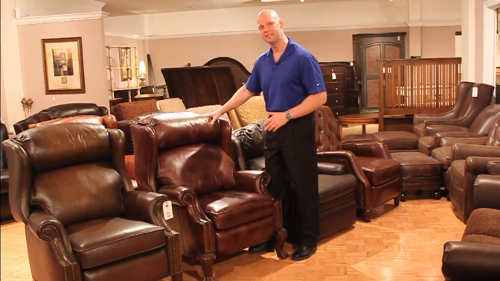 How much money you are willing to spend shouldn't stop you from getting a great leather chair. Therefore, we concentrated on picking the best chairs for luxury, moderate and affordable price ranges. 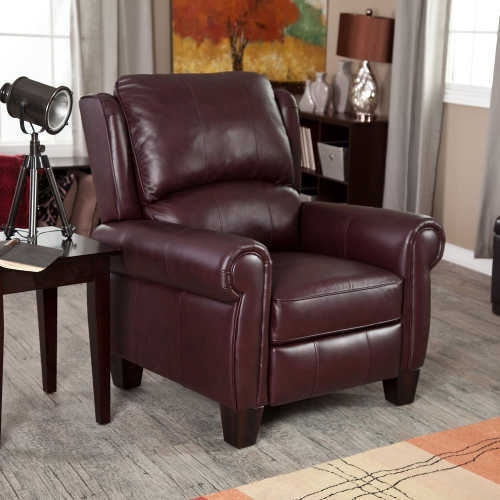 These are some of the best leather recliners available on the market today, and hopefully, one of these ends up being the perfect chair for your home!